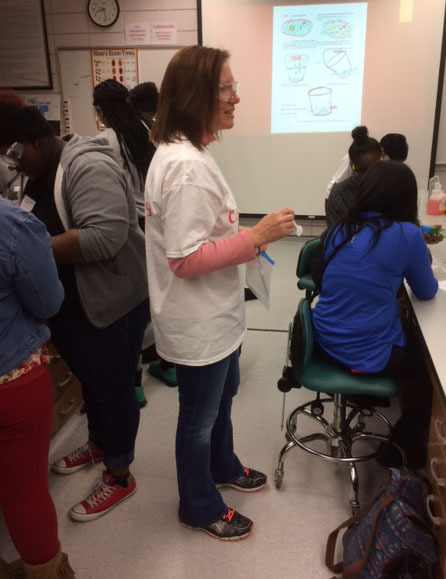 “Chemistry is pHun” outreach program of the St. Louis Section of the American Chemical Society (ACS) presented “Polymers are Marvelous Molecules” workshop as part of the Expanding Your Horizons Conference at the St. Louis Community College-Florissant Valley, March 13, 2017. Expanding Your Horizons is a national program designed to encourage young women to consider careers in science and mathematics. The Mathematics-Science Network of Greater St. Louis has sponsored the conference in St. Louis for over twenty years. 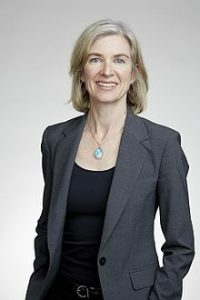 The 2017 event consisted of a large group forum, career panels and workshops. 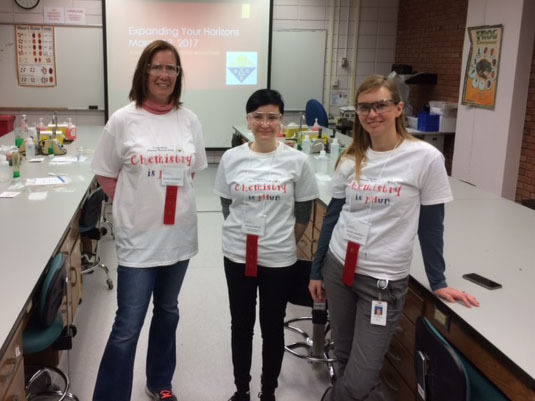 Presenters from the St. Louis Section of ACS; Amy Kerkemeyer, Rhonda Woerndle and Melissa De Wever, described the properties of DNA, a biological polymer, and Glue(p), a synthetic polymer composed of polyvinylacetate crosslinked with borax. Three groups of twenty 7-10th grade young women then extracted DNA from strawberries and prepared Glue(p) by mixing 30 mL of 50:50 Elmer’s glue and water with 11 mL of saturated borax solution. The students were able to take home their samples of stringy DNA and visco-elastic Glue(p) stored in ziplock bags. The program was conducted in a well-equipped biology laboratory at St. Louis Community College – Florissant Valley. Members of St. Louis Section of ACS who might be interested in helping with the program next year (spring 2018) are encouraged to contact Will Ridley, Coordinator for Chemistry is pHun, at Email: ridleywp@att.net or Cell phone: 314-920-1507. Amy Kerkemeyer directing conference attendees in strawberry DNA extraction.